Nearly a third of the population has been displaced in the ongoing war in Syria and no group has been as severely affected as the children. According to a joint statement issued by the United Nations High Commissioner for Refugees (UNHCR) and UNICEF last August, one million children have already been forced to flee Syria since the start of the country’s civil war. Some news reports indicate that children are actually being specifically targeted in the violence. The World Economic Forum has commissioned an immersive journalism piece to try to tell the plight of these children. 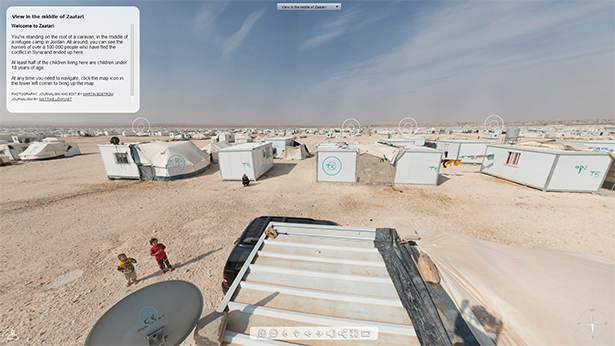 Immersive journalism piece uses new virtual reality technologies to put the audience “on scene” and evoke the feeling of “being there.” This piece was requested to be displayed at the World Economic Forum by the Executive Chairman Klaus Schwab, in Davos January 21, with the idea of compelling world leaders to act on this crucial issue. This is a two-part experience. Using first scene replicate a moment on a busy street corner in the Aleppo district of Syria. In the middle of song, a rocket hits and dust and debris fly everywhere. 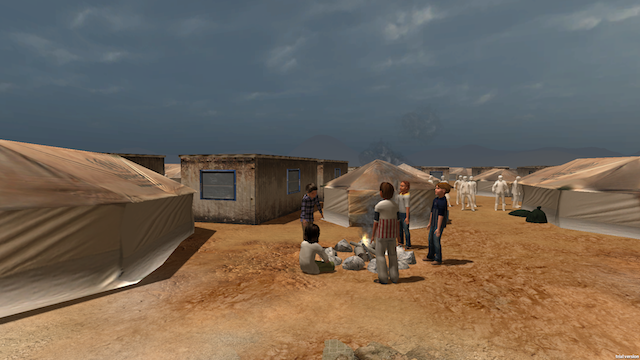 The second scene dissolves to a refugee camp in which the viewer experiences being in the center of a camp as it grows exponentially in a representation that parallels the real story of how the extraordinary number of refugees from Syria fleeing their homeland have had to take refuge in camps. All elements are drawn from actual audio, video and photographs taken on scene. 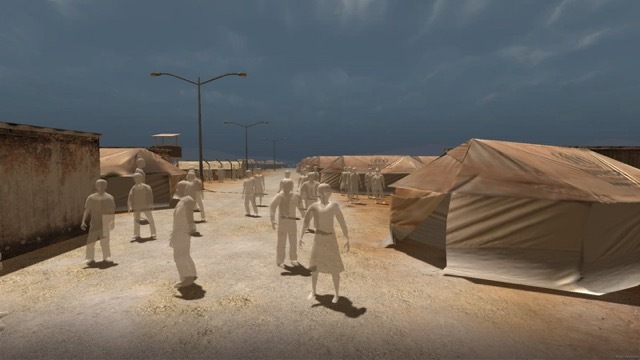 Utilizing the real time graphics of the Unity game engine and sense of presence evoked through high resolution virtual reality goggles and compelling audio, Project Syria takes the audience to the real events as they transpire.